I am always a sucker for a good straight tea, and I cannot believe it’s taken me so long to try DavidsTea’s English Breakfast. 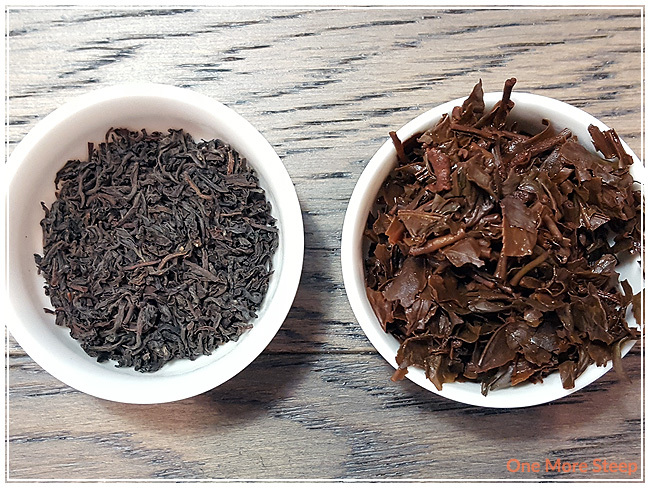 Maybe it’s because they have so many other teas to try, or because I was on an oolong kick for the longest time (because, let’s face it, oolong is one of my favourites), but I do love drinking black teas, and I do love trying straight black teas so lets get to it! English Breakfast is a straight black tea, consisting of black tea leaves from Sri Lanka. The dry leaf has nice floral notes to it, and a natural sweet smell that reminds me a bit of the smell of honey. The leaves themselves don’t appear to be very large, so I can’t say much about that. DavidsTea recommends steeping English Breakfast for 4-7 minutes in ‘near-boiling water’ (90-95°C/194-203°F). I did my first initial steep for 5 minutes. English Breakfast steeps to a nice deep golden orange, it has a great honeyed smell to it. 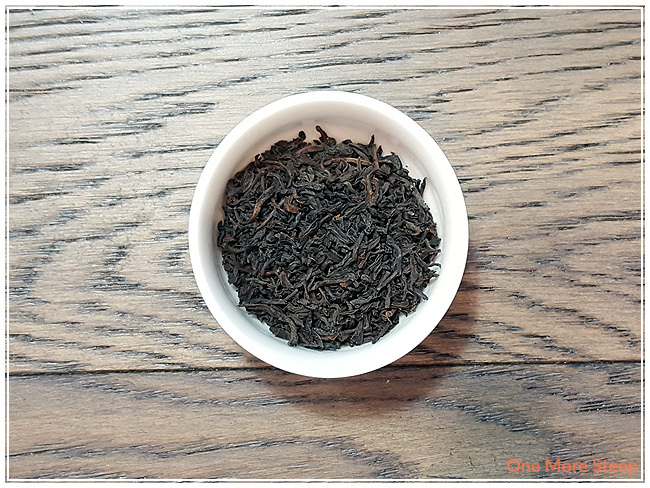 The overall aroma I get from this black tea is one of floral mixed with a bit of maltiness. I found that the tea had no bitterness or astringency when steeped for 5 minutes – always nice. The honeyed taste to this black tea just adds a little touch of sweetness to each sip, which makes it quite enjoyable. I added a tiny bit of honey and evaporated milk to this tea. The honey helps accentuate the honeyed flavour in the tea, and the floral notes were a bit tempered by the milk, but still tasty. I resteeped English Breakfast three times, adding an additional 30 seconds per subsequent resteep. I found it held its flavour well, and still made for a peppy cup of tea. The overall flavour of honeyed and floral notes stays pretty much the same for two of the three steeps, the third resteep was a bit weak and required a bit more honey to make it palatable. If you’re not one to add anything to your cup of tea, I would keep it to a total of two resteeps. 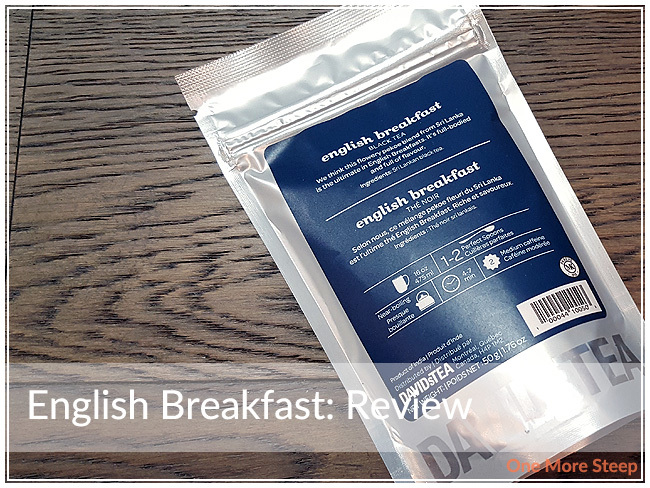 I liked DavidsTea’s English Breakfast. I generally do like straight black teas, and English Breakfast did not disappoint. 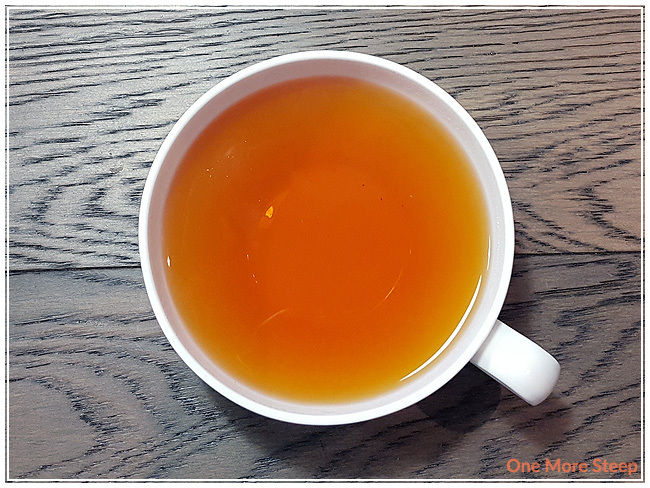 I love the natural floral and honeyed notes in this tea – both dry and when steeped. The fact that it resteeps to a decent number of times is an added bonus, considering how small the leaves are. While it’s perfectly fine straight, I did enjoy it better with a bit of honey and evaporated milk (personal preference!). The ability of this tea to be resteeped adds to the value in the tea, and it isn’t terribly expensive as far as straight black teas go, which is a nice added bonus.